The new flagship of the Swiss company MSC Cruises has not noticed Meraviglia technology investment so that passengers stay as comfortable as possible. 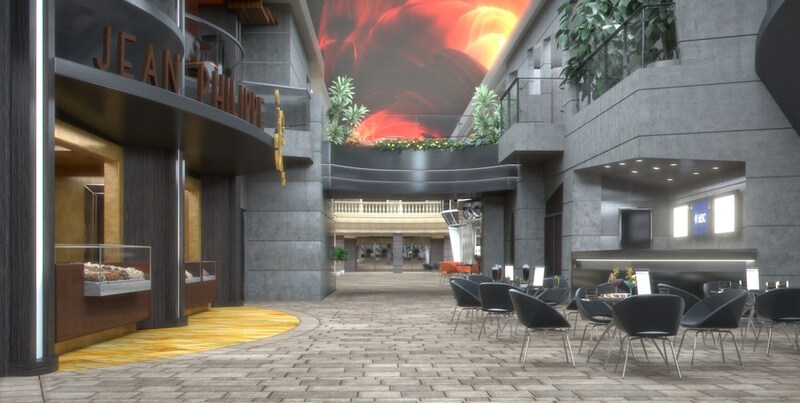 Among other places, have created a Mediterranean-style promenade, whose vaulted ceiling is a 480 m (80 m. Long), installed by the Videlio-HMS integrator, which digitally reproduces the sky changes during different times of the day . MSC Cruises, A company based in Switzerland that has the largest online private world cruises, has already operating its flagship Meraviglia, a ship equipped with the latest technological equipment to make your stay more comfortable for the Western Mediterranean (with shipments at ports of Barcelona, ​​Genoa and Marseille) of 5,714 passengers can take on board. 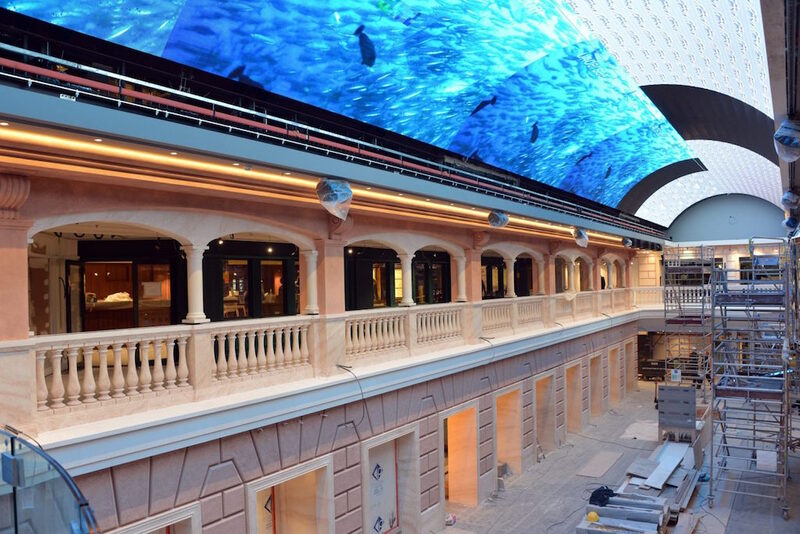 Among other innovations, Meraviglia features on deck called Promenade, with a walk of 96 meters designed Mediterranean style, with shops, bars and restaurants, whose ceiling arched is an LED display, consisting of 1,334 LED panels with pixel pitch 4 mm. and with dimensions of 80 meters long and 5.60 meters wide, which completely covers this route and simulates an artificial sky that changes according to daylight hours (sunrise, sunset, starry sky) and other artistic creations to foster a pleasant and relaxing atmosphere. 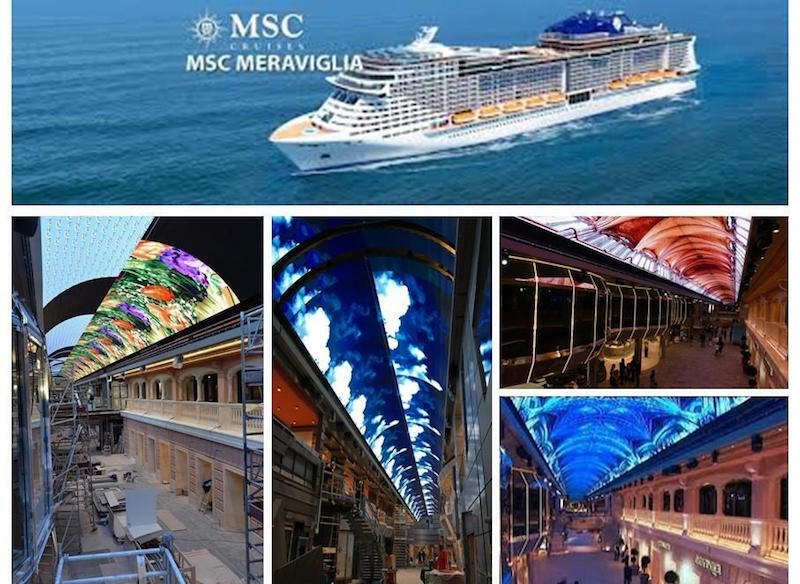 Videlio-HSE, Solutions specialist audio, video, communications and lighting on board large passenger ships, mega yachts and ferries, has been responsible for the unique indoor Promenade, the largest built so far with LED panels on a boat that has become the social center of the MSC Meraviglia. Among other technical challenges in this complex installation, equipment Videlio-HMS has successfully designing tailor the support structure, in addition to overcoming the deformations of the hull to minimize the misalignment of the panels when the ship is in the sea. 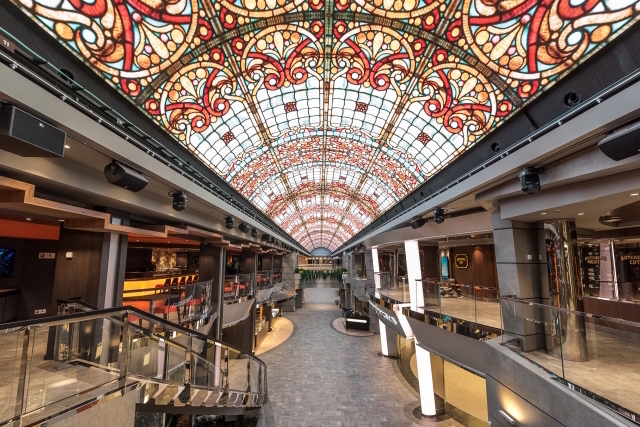 Videlio-HMS has also performed the installation and integration of the main venues of entertainment on board, for which passengers have 114 touch screens distributed throughout the ship where they can make reservations for shows, as well as restaurants . One of the most important areas in this regard is the Carousel Lounge room, designed with glass walls and exclusive to welcome for the first time on a cruise, two shows of Cirque du Soleil (Cirque du Soleil). This space, 1,000 m² to accommodate 450 spectators, of which 120 will enjoy a dining experience and entertainment in the same room has been custom built by architect Marco Jorio, in collaboration with MSC Cruises, to meet specific needs of the two shows of Cirque du Soleil at sea, which will take place twice every six night a week.